I was thinking about what I might say this Holy Saturday as I finish preparing my Easter sermon. Sometimes it takes a flash of inspiration to stir the mind and heart. So, I was glancing at my twitter feed, and I glanced upon a tweet by Jesuit James Martin. He had placed a brief meditation of his own on Facebook. The title looked intriguing -- "We live in Holy Saturday" -- so I checked it out. Fr. Martin reminds us that much of our lives are spent in waiting, but the question then is -- what is the nature of our waiting? Sometimes we forget, but Jesus wasn’t alone in his suffering on Golgotha. There are, according to Luke, two others, who, like Jesus hang from crosses. Like him, they’ve probably been charged with rebellion and sedition. Crucifixion was generally reserved for these kinds of cases. Rome liked to use this form of execution as a warning to anyone who might think about causing trouble – and they believed that Jesus must be a trouble maker. For millions of Christians today is Maundy Thursday. We will pause this evening to remember the final meal that Jesus shared with his disciples before his arrest and execution on the morrow. At least according to the Gospel of John, standing at the center of this feast (in John this is a pre-Passover meal not a Passover meal) is the command to love one another. I’d like to pick up on that command – that mandate (Maundy is an anglicized form of the Latin for mandate) and connect it with the important conversation occurring in this nation this week. We are all destined to die. We may die young or at a very old age. But the day will come when death takes us from this earth. There are those who try to evade death’s call, but not even cryogenics can prevent this reality. Death may be inevitable, and we might not be able to completely wall ourselves off from it, but is death ultimate? Belief in an afterlife continues to be widespread, even if one cannot provide definitive proof. It is the middle of Holy Week. 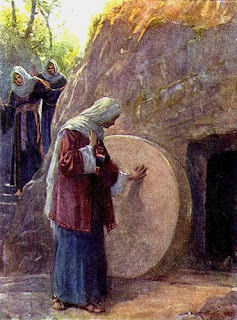 We look toward the celebration of resurrection that comes with Easter. As Bruce Epperly reminds us the early Christians found a way of connecting the celebration of resurrection with the rites of spring -- in a pagan observance called Easter. In this first of three conversations with Phyllis Tickle's latest book Emergence Christianity: What It Is, Where It Is Going, and Why It Matters, he takes up Tickle's point about hyphenated Christianities. There is a welcoming of the resources of global spiritualities that are enriching the Christian experience. Since Bruce is one who has not only welcomed this, but led the way, his reflections on celebrating hyphenation should prove informative and full of wisdom. Since I've not yet read Phyllis' book (it's on my shelf), I am reading these three pieces with interest. THANK GOD IT'S THURSDAY: Encountering Jesus at the Lord's Table as if for the Last Time. Nashville: Abingdon Press, 2013. X + 110 pages. By whatever name you know it – Lord’s Supper, Holy Communion, or the Eucharist – Christians have from the very beginning of their existence as a community gathered at the table to share bread and cup. Our names for this event, we call a sacrament, differ as do our theologies and even practices. Some observances are highly formal and others informal. Some believe that clergy are needed to make this meal sacred, others do not. Still, the meal is sacred because it connects us to Jesus. THE MYTH OF PERSECUTION: How Early Christians Invented a Story of Martyrdom.By Candida Moss. San Francisco: Harper One, 2013. 308 pages. Concerning the sermon title – this isn’t a sermon about the Rolling Stones! 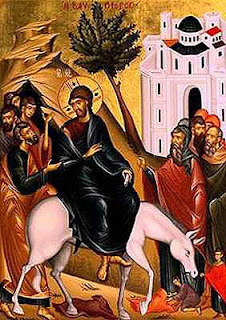 They may have something to say, but I don’t think it’s connected to Palm Sunday! When you drive into the church parking lot, do you notice those two gargoyle blocks of stone sitting on the circle? Do you ever wonder why they’re there? I think they come from the old church, and they serve as a reminder of our connection to that former place of worship and service. We don’t talk about those stones, but they do have a story to tell. Stones might be inanimate objects, but they do tell stories. When I go to England next fall on my sabbatical, I plan to visit Stonehenge. That stone structure draws visitors from all over the world, and everyone wonders who built it and why. These stones have a story to tell, but we must use our imagination to hear it.